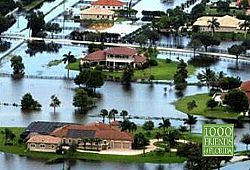 "1000 Friends of Florida is identifying communities using planning strategies to lessen their contributions to climate change and/or build community resilience to address the effects of climate change, including sea level rise. If your community is taking steps to address sea level rise and/or climate change we hope you will take a few minutes to complete 1000 Friends' 10-question survey. Your responses are anonymous, unless you chose otherwise. Please note, this survey is not intended to be statistically significant but rather to gather information on current planning efforts in Florida. 1000 Friends is also compiling information on sea level rise and climate change plans and studies around the state."